TRIBUTES continued to pour in from several sections of society yesterday following news that Carib Queen Jennifer Cassar had died on Thursday at the age of 66. Arima Mayor Lisa Morris-Julien said Cassar was not only Carib Queen but the “Queen of Arima.” was not seen as just the Carib Queen, but she was Arima’s queen, according to Arima mayor Lisa Morris-Julian. Cassar died after complications from surgery she had several weeks ago. A source said the autopsy showed she died from blood clots in the leg. She would have been 67 on August 4. Cassar succeeded Valentina Medina in August 2011 and was married to Augustin Cassar. She was a mother of two, daughter Vanessa and son John. “We expected to have Mrs Cassar with us for a very long time. She was loved by everyone, by her neighbours, by the entire community. Every Arimian was proud that she was our queen. She was heavily involved in culture and I credit her for bringing back stick fighting back to Arima, always trying to ensure that we become the cultural mecca that we should be,” Morris-Julian said, her voice breaking up with emotion. The mayor said Cassar was deeply involved with the youth in the community and was very kind, embracing and loving. “Government gave them the land and I’m so happy that she lived to see the one off holiday (last October 13). Her role in the community could never be underestimated. She was the right hand of the chief (Ricardo Bharath) and she always took the needs of her people before her own. She was an excellent mother and wife,” she said. As to the selection of another queen, Bharath told Newsday it is tradition the reigning queen had the first option to name a successor who would have displayed the qualities required. But in Cassar’s case, no successor was named. After 40 days of mourning, the community will begin the process to discuss a successor and six months later, an election will take place. Extending his condolences, PM Dr Keith Rowley said Cassar’s life was a true depiction of dedication and devotion to her community and service to the people. Arima MP Anthony Garcia thanked Cassar for her service and contribution to the development of TT for over 40 years through work in education, community development, culture, sport, health and the Judiciary. Carib Queen Jennifer Cassar died yesterday while recuperating at her Malabar home after surgery. She was revered by not only the Santa Rosa Carib community, but all Arimians. Cassar was inaugurated as Carib Queen in August 2011. She had succeeeded the late Carib Queen Valentina Medina who had died in April that year. 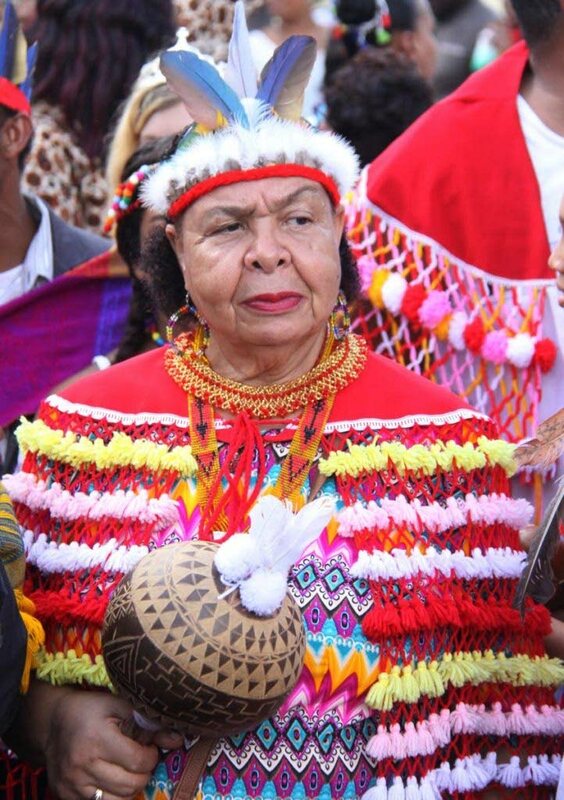 She openly embraced her Carib heritage and worked to ensure the lineage of the First Peoples. A new queen will now have to be appointed. Reply to "The Carib Queen is dead"